In addition to insulating your garage, we suggest air sealing the walls between the garage and your home in order to reduce the amount of fumes that can seep between the two. In order to air seal the wall cavities, start by examining the wall area for holes or cracks. Fill in any holes or cracks you find with spray foam insulation, then continue on to the areas where the walls meet stud supports. Spray an even amount of insulation into all of these areas and let it dry. If you have any light swtiches or electrical outlets that protrude into your home’s living space, you can seal the perimeter using silicone caulk. Simply run a bead of caulk around the area and around any holes where wires enter and exit. Then, wet your finger and smooth down the caulk. You’ll also want to caulk the gap between your floor and your walls. When it comes to paper-faced insulation, you’ll want to install the paper side facing the living spaces of your home. Start by firmly pushing the top of the batt into the top of the stud bay (but don’t press too hard, or you’ll compress the R-value of the insulation). Continue along the bay until you reach the bottom, then repeat along the length of the wall. If you run into any obstructions (such as an electrical box), split the side of the batt and tuck the paper side underneath the box. Cut the batt above the box and curl the cut piece into the rest of the insulation. For areas of your garage that don’t face your home, install the insulation batts with the paper side facing outward. 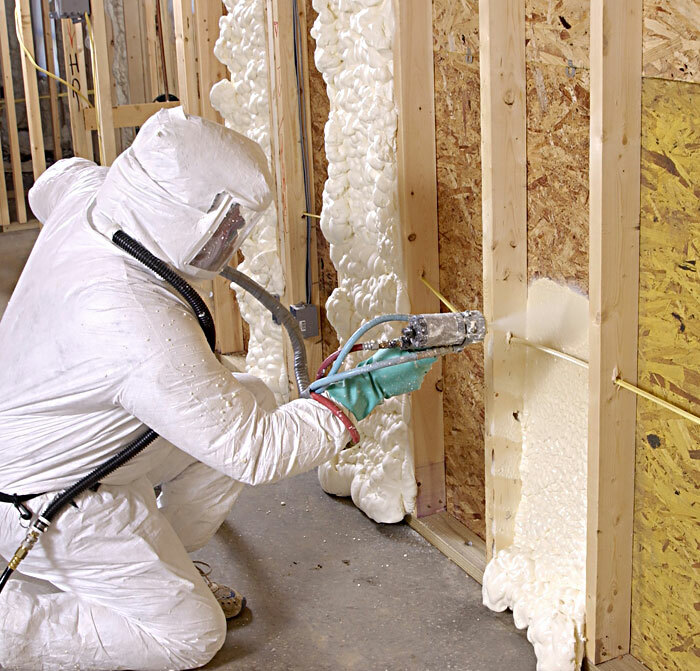 Once all of your insulation is in place, you can install drywall or plywood over it.